Informburo.kz and the 31 Channel have much more in common than one could see at the first sight. 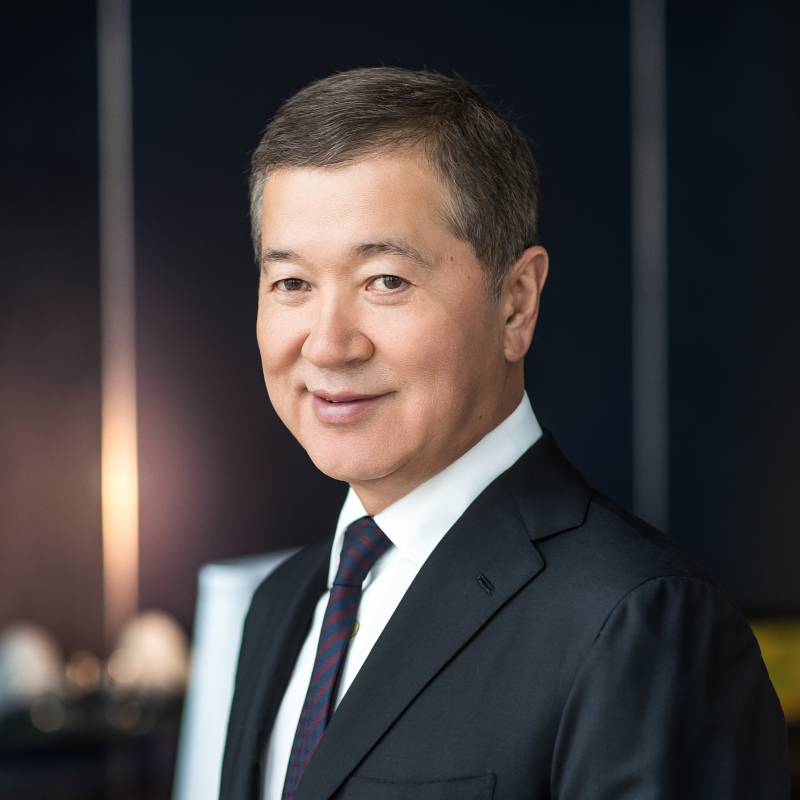 This is not only the echoing brand names – Informburo.kz and the news programme “Informburo” on the 31 Channel which are sometimes got confused by readers and TV audience, but also high professional journalist standards communicated, inter alia, by the founder – Verny Capital parent company, where Bulat Utemuratov is the key shareholder. In 2018 the 31 Channel turned 25, and Informburo.kz – three. For both projects, the previous period was rich in honourable awards and important new projects. In 2018 Informburo.kz was recognised as “The Best Online Media” according to the “Urker” National Award. And Informburo.kz journalists Nikolay Enelane and Zholdas Orisbayev became nominees of the award in categories “The Best Analytics” and “The Best International Analytics”. “This is an important award because its’s a recognition by the professional community,” says Mikhail Dorofeyev, Editor-in-Chief of Informburo.kz. And on 26 June 2018 Mikhail Dorofeyev himself merited an honourable award on behalf of the President of Kazakhstan, Nursultan Nazarbayev, which was established the day before the professional journalist holiday. 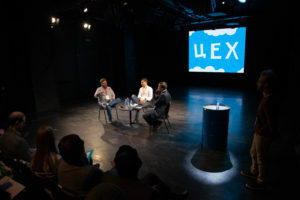 A public commission selected 8 best Kazakhstani journalists, including the Editor-in-Chief of Informburo.kz, out of 61 candidates, and on 28 June Dorofeyev took part in the “Interview” programme where he spoke about the principles of the Informburo.kz work and the modern Kazakhstani journalism. According to him, one of the major trends is constructive journalism or journalism of decisions which Informburo.kz has been introducing throughout the recent year, however not turning away from traditional news and investigative journalism. There are things which should be explained to people and not just reported, such as laws, codes, state programmes: “Reporters not only reveal problems but also splash into what solution options might be. This is one more way of development of the civil society,” commented Mikhail Dorofeyev. Speaking about qualitative and quantitative features of the audience, in 2018 Informburo.kz managed to twice become the winner of the “Mediator” international award in “The Most Widely-Read” category among federal news outlets. This category is for awarding the media which publications readers spend the most time on. “Why are we proud of this award? Because the “Mediator” participants include both Kazakhstani and Russian media. We outcompeted quite large and well-known Russian brands,” Mikhail Dorofeyev commented on awards. In Mikhail Dorofeyev’s opinion, apart from unbiased presentation of information and fairness, the high professional standards of Informburo.kz are also proved by division of editorial and commercial materials, and honesty towards readers. “In 2018 we managed to form our commercial editorial office and to finish building a wall between the informational and commercial editorial teams. Now everyone minds their own work». Pictured: Mikhail Dorofeyev, Kuat Bakhridinov and Rodion Skryabin during the panel discussion at the “TSEKH”(“Guild”) conference. Conduction of the sectoral media conference “TSEKH” (“Guild”) became one more novation in the work of Informburo.kz. It was held twice in 2018: in March and end October. Speakers were local media managers and renowned foreign guests including Iliya Krasilshchik (the then Meduza publisher), Rodion Skryabin (Business Development Director, Lifehacker), Sasha Rai (publisher, Tinkoff Journal) and Ayan Mittra (Texas Tribune) who have never yet come to Kazakhstan. They spoke on the native advertising, survey of the audience and content distribution. “Our guess is that the conferences were successful, they caused a lot of interest among the professional audience, there were good comments. In general, this positively influences development of the market where we work in,” says the Editor-in-Chief of Informburo.kz. The 31 Channel had none the less achievements in 2018. The company turned 25 years old. 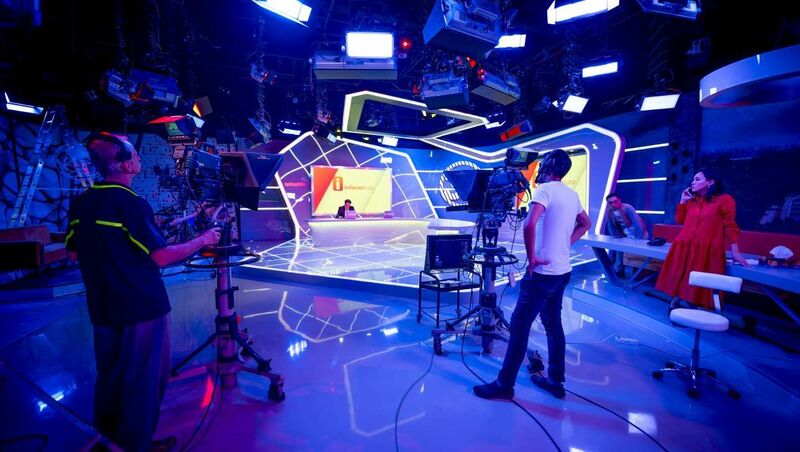 For this time the channel managed to become the “Prime family TV channel” in the Kazakhstani media market thanks to the management and producers who try to diversify the broadcast schedule so that every member of a family could find something interesting and useful. The team is especially proud of the self-made products – news broadcasts, comedy and reality shows. They truly have something to be proud of. 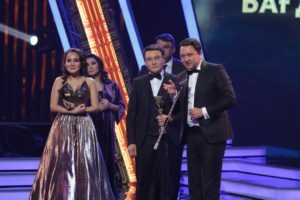 “Informburo” – the 31 Channel’s news programme – deserved its second statuette of the Kazakhstani television award “Tumar” in “The best information programme” nomination in 2018. Competition was provided by 355 Kazakhstani projects also nominated for this award. Pictured: 31 Channel staff during the “Tumar” award 2017 ceremony. According to Gulzhan Mukusheva, Information Broadcasting Director, “Informburo” News Programme Department, journalists are moving away from the classical scheme of news broadcasting like “presenter’s lead-in, footage” towards live broadcasts, social polls, guests in the studio, direct communication with speakers by all possible means. The 31 Channel team does not cover bloody or hype topics in all details in the pursuit of ratings, but prefer to take into account the interests of their viewers, even of the youngest of them, therefore they cover many consumer subjects and talk to TV viewers in a common understandable and safe language. Each and all “Informburo” presenters are active writing journalists who have high standards of fairness in their profession, there is not any “talking head”. Journalists not only gather information and write news pieces themselves but also assemble videos for their footages, sort out audio tracks and texts for newscasters. In addition to the TV channel, the content generated by the “Informburo” programme can be found on YouTube and the application because the audience turns to the information repeatedly. Mukusheva says that “Informburo” frequently appears in the top 10 Kazakhstani YouTube channels. 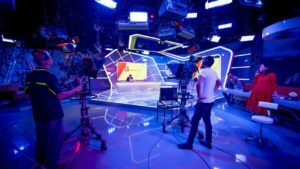 In 2018 the international society highly appreciated the 31 Channel’s anchor project – a new studio where the “Informburo” news programme is filmed. It was a joint project implemented by DIAS, Acis Distribution and Polymedia companies, thanks to which the 31 Channel became a laureate of the TKT Awards International 2018. Projects from 15 countries were traditionally presented for the award. This is not the only evidence of the international recognition of the TV channel which is a part of media assets of businessman Bulat Utemuratov. The businessman has an international partner in the 31 Channel – Russian company CTC Media which entered into exclusive agreements for purchase of licensing rights for on the air movie broadcasting with international giants Paramount Pictures, Warner Bros. and The Walt Disney Company CIS. Large-scale talent show of the 31 Channel “I’m singer” is broadcasted in six countries with the total coverage of the audience of 200 million viewers. Besides, the 31 Channel was about to have important personnel reshuffle. A new Director General of the company was announced at the end of 2018. It was Yury Brodsky. Previously he worked as Director of the Non-News Broadcasting Directorate at the RTVI TV channel, the CTC Channel Prime Broadcasting Directorate and General Producer at the 31 Channel. Brodsky led on the launch of such highly rated Kazakhstani projects as the “House-Scales” reality show and the “Narxoz” sitcom.